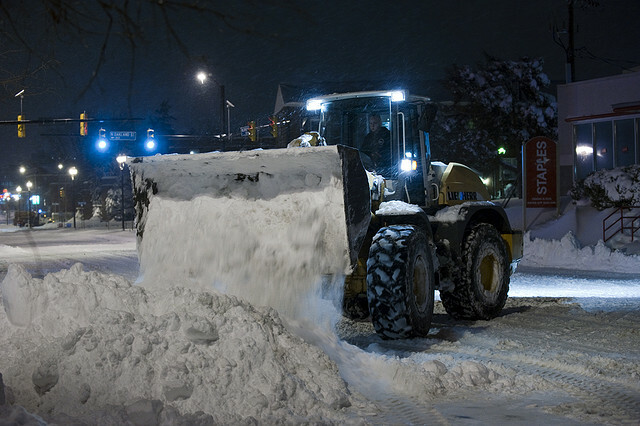 Is your snow removal contractor following ISO best practices? Winter is an exciting time for property owners and managers. Retail shops are crowded with Christmas shoppers, and condos and apartments are teaming with holiday guests. During this time, primary concerns for your landscape transition from aesthetic concerns in the spring and fall to safety and liability in the cooler months. Here at Schill, we understand that concern. We turn down several snow removal proposals every year to ensure that we can give our clients the best service. There are a lot of great snow removal companies in Northeast Ohio. Unfortunately, because this industry has a low barrier to entry, it can be very difficult to separate the wheat from the chaff. So, what’s the best way to tell if a company you’re considering is going to keep your property safe and be responsive to your needs? 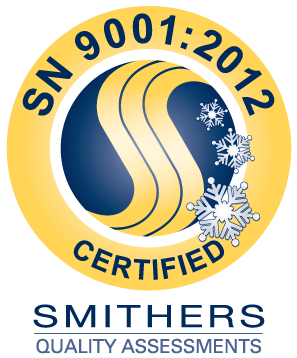 ISO, a new quality management certification issued by the International Organization for Standardization, is currently the only certification that your commercial snow contractor is actually following best practices and industry standards. We interviewed ASCA executive Kevin Gilbride to find out how this development in the snow industry is affecting property owners across the country. Why did the industry need a certification like ISO? In order to address this, we have to go briefly into the history of how ISO came about. Six years ago, Snow Magazine gathered the top 100 snow removal contractors in the country to address concerns in the industry. Most importantly, there were no industry standards. The fact that there were no industry standards was making the other problems much worse, because without them, insurance companies had no uniform way of telling which companies were operating safely and which weren’t. This was causing massive rate increases throughout the industry, and many good companies were going out of business. And without evidence that a snow contractor is implementing safety best practices, it was difficult for judges in civil trials to determine when a lawsuit might be frivolous. So, Snow Magazine formed the Accredited Snow Contractors Association (ASCA) and became the first organization to document those best practices. The ASCA-C Certification was created to ensure that snow contractors read and understood those standards. It’s similar to the SIMA’s CSP certification in that it’s education and assessment based, and many companies in the region (including Schill) have both of these certifications. But anyone can take a test and pass a class. What proof do property managers and insurance carriers have that snow contractors were implementing those best practices? That’s where ISO comes into the picture. Want to learn more about keeping your property safe this winter? ISO is an international organization that sets guidelines across several industries. The third-party audits they perform allow ASCA to eliminate any appearance of conflict of interest, examining the processes and procedures in place before, during, and after a snow event. In other words, ISO observes a snow removal company to ensure not only that they’re meeting the requirements of a contract, but also that they are doing the work according to ASCA’s standards. It proves that a snow Removal contractor is doing what’s best for the properties they serve. This means performing preseason site inspections of your property that are consistent across the industry, including meticulously recording temperature, time of arrival, amount of snow on the ground, and type of service performed (plowing, hauling, salt, deicer, etc). If you’re a Schill customer, you probably know about our customer feedback form that allows for same day response to all issues. We do this because we believe our customers should be assured that their concerns will be addressed in a timely manner, and ISO agrees. The organization requires that qualified companies have procedures for managing the intake of customer issues and responding to them efficiently. How does this benefit property managers? Streamlined procedures for customer feedback and pre-event inspections that are consistent across companies assure that your snow removal company is going to be responsive to your concerns. Obviously, making it easier to fix problems on your property will make your life a little easier. However, hiring a snow removal contractor that you can prove is following industry standards could mean big savings in insurance and general liability. 35% of slip and fall claims against snow contractors are outright dismissed. That number soars to 70% for companies who are ISO certified. That means hundreds of millions of dollars to the companies that insure us and our property managers. 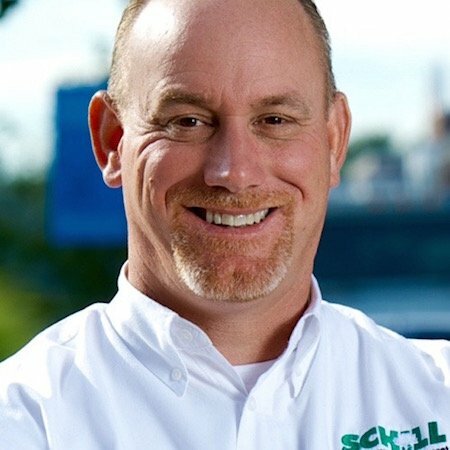 Schill was only the second snow contractor in Ohio to become ISO certified, and the number of certified companies is less than 40 nationally. 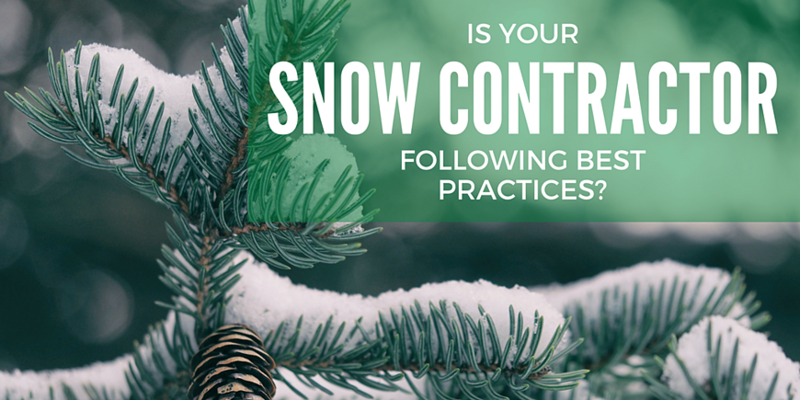 That means there are great companies out there that haven’t taken the time to get certified, but do you really want to run the risk of not knowing if your snow contractor is following best practices? Also, remember to look for the seal. While reports of companies falsely claiming to be ISO and ASCA certified are rare, they do exists. Fortunately, ISO issues a unique seal to each company that passes its third party audit. To help property managers and owners hire qualified snow removal companies, ASCA is working on compiling a public list of all ISO certified companies. We want to help. If you have any questions about our certification, reach out to us online. To learn more about hiring a qualified commercial snow and ice removal contractor, download our free guide below.